Described as robust and harsh-tolerant, it grows in wide open prairies, fields, along wood margins, etc. It is native to Canada and the entire eastern U.S. seaboard. This one grew in the Hershey, PA garden. 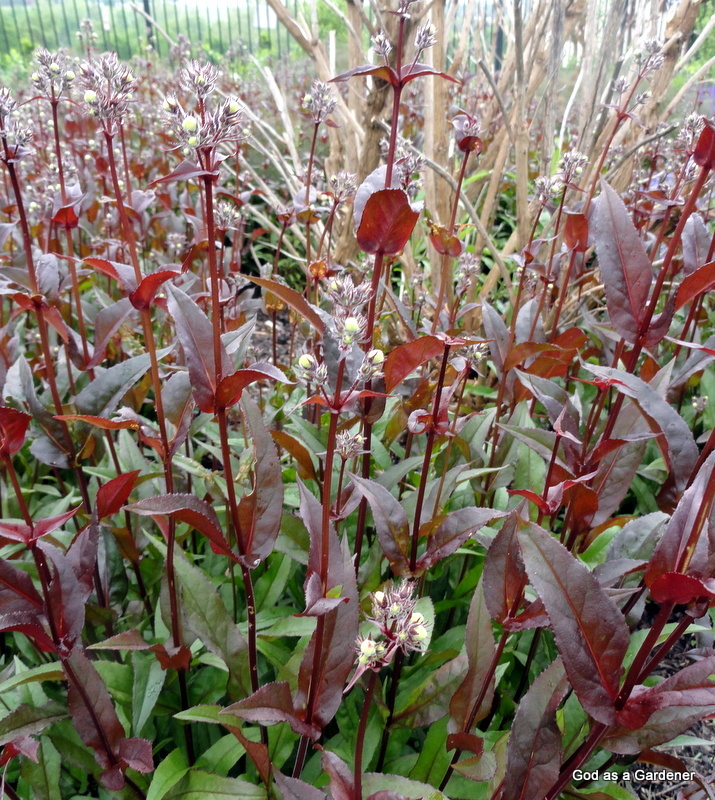 Penstemon digitalis is commonly called Husker red and beard tongue. I understand the red designation, however, don’t know where the beard tongue came from. After all that Jesus went through — long days of teaching, heat and sweat, challenges from the religious elite who were supposedly looking for his coming — He can be described as harsh-tolerant. Probably the individuals who know me best, would never term me “harsh tolerant.” When adversity strikes, my default is to whine. Often, my behavior embarrasses even me. Reflection: How do you respond to harshness, i.e., riticism, high humidity heat, lack of safety and security? Compare and contrast your behavior with Christ’s behavior. This entry was posted in Uncategorized and tagged Beard's tongue, Bible Plants, Bible Study, God as a Gardener, Husker red, Penstemon digitalis, robust, Rooted in God. Bookmark the permalink. First I whine then become defensive then think God’s got this give it to Him! He will let me know how to react! Great post Carolyn. The analogy was great. Have a wonderful weekend!! !